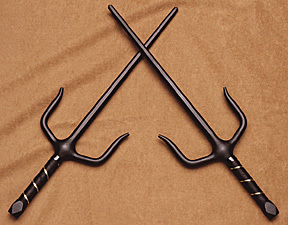 Made of forged steel with a or black finish, our sai are excellent for competitions or for training. All sai are sold in pairs. Leather wrapped handles provide excellent gripping and beautiful styling. The octagon sai have an eight sided blade and handle end. They are truly beautiful weapons.